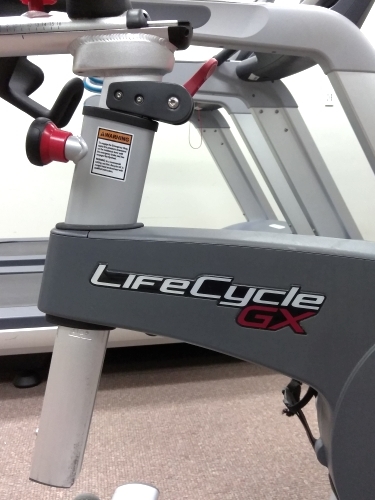 The Life Fitness Lifecycle GX Indoor Cycle is engineered for low maintenance even with high volume use, this bike is built to last in a health club or your home! 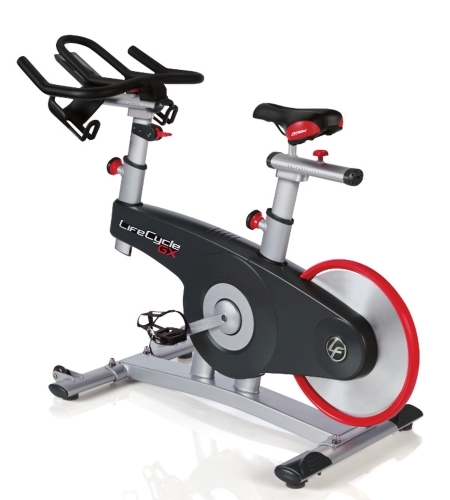 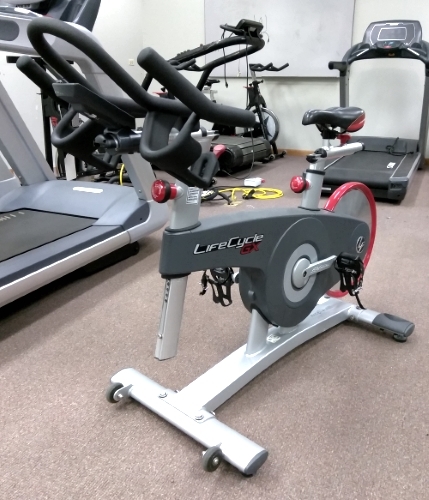 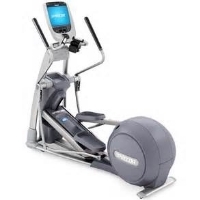 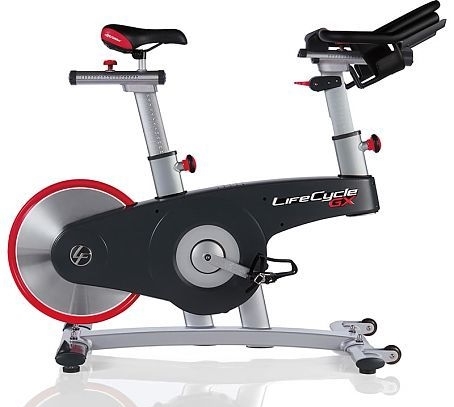 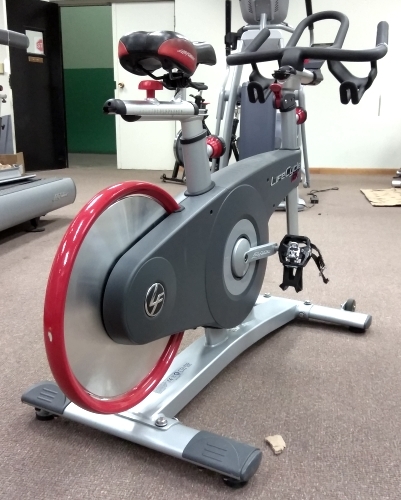 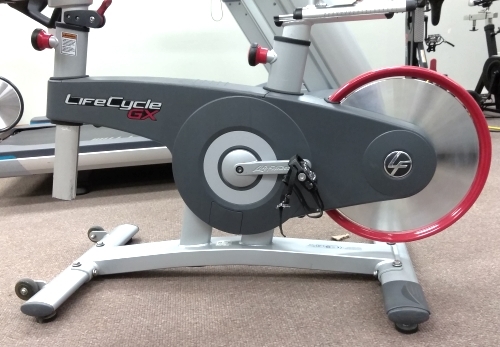 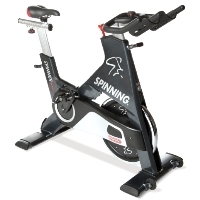 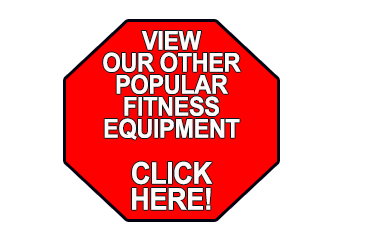 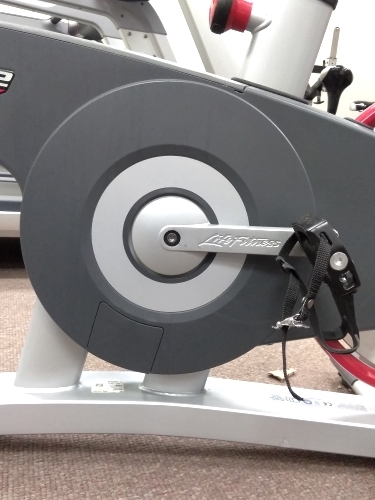 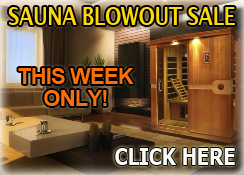 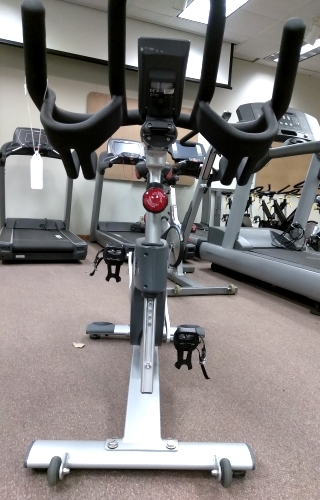 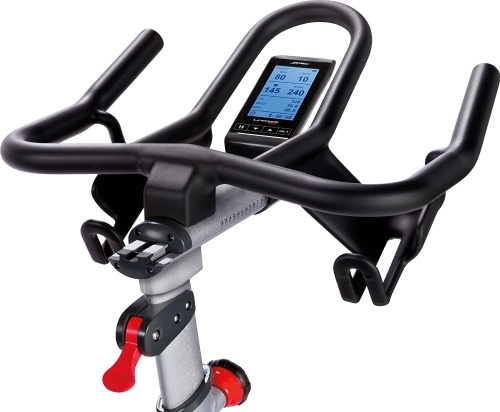 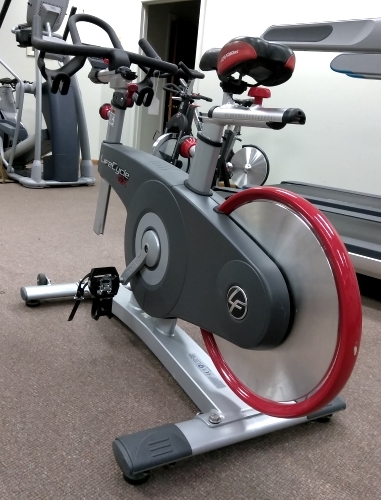 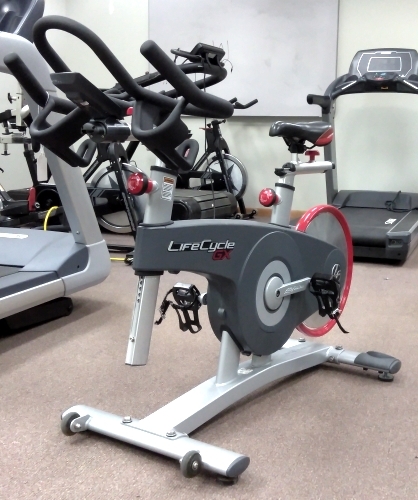 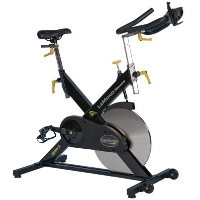 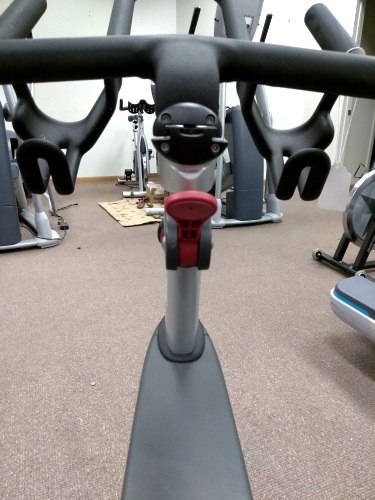 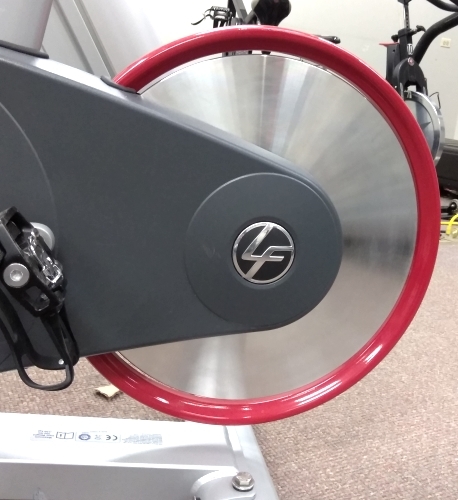 The Life Fitness Lifecycle GX Indoor Cycle has a sleek and stylish robotically welded steel frame, covered with rust prevention E-coating, is durable and sturdy so you can take your workout to the max with confidence. 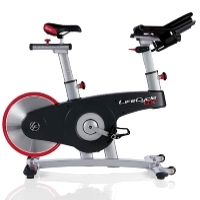 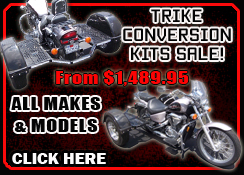 The dual-magnetic brake resistance system and multi-ribbed belt drive ensures a smooth, quiet ride with easy transition between levels. 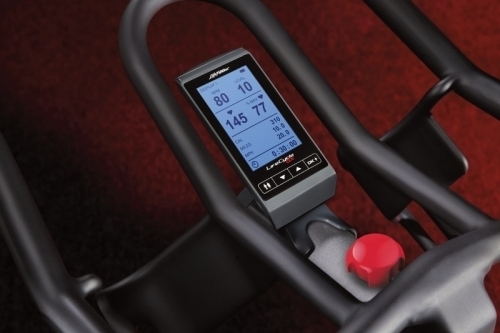 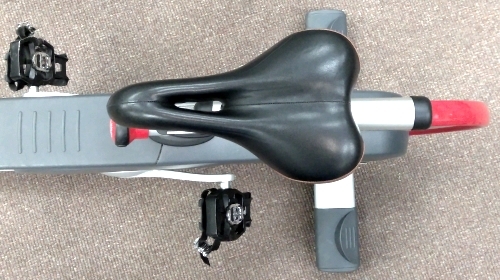 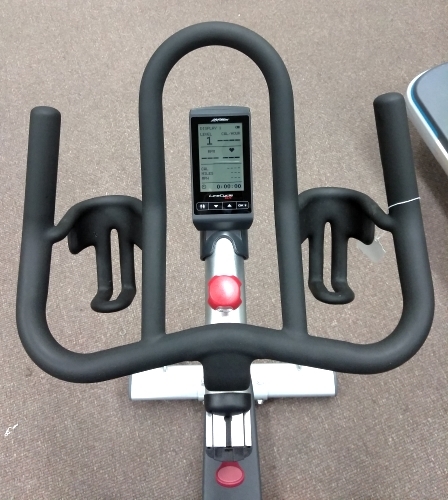 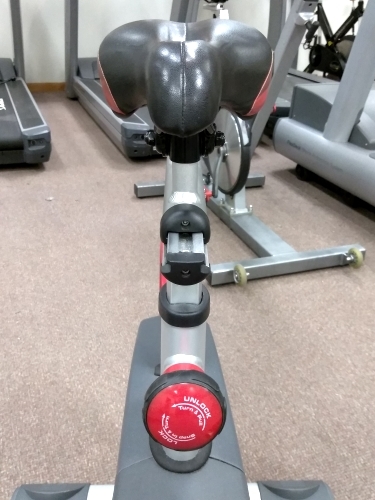 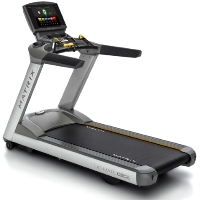 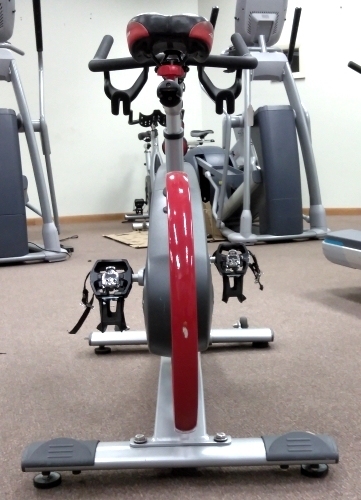 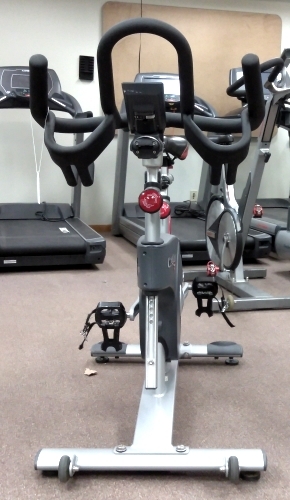 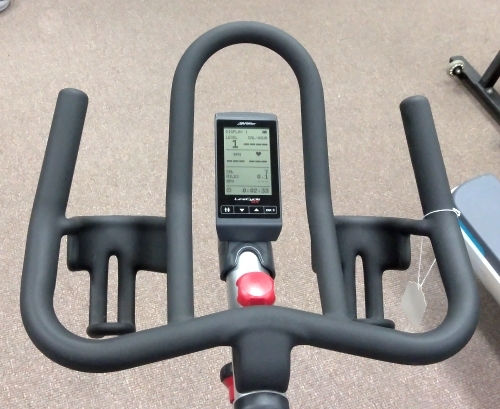 Optional cycling computer is mounted to remain in an optimal viewing position and provides continuous performance feedback for a more effective workout. 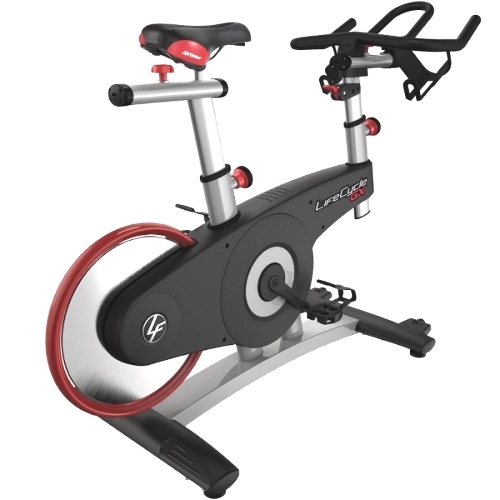 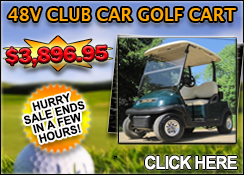 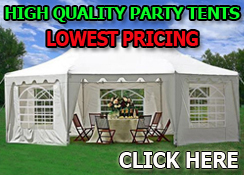 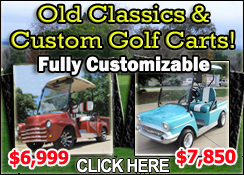 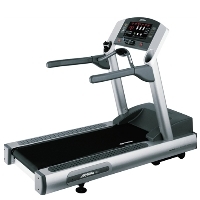 Shrouds	Zinc Oxide-coated Steel and Plastic Shrouding protects frame and sensitive mechanisms from dirt, sweat and Water. 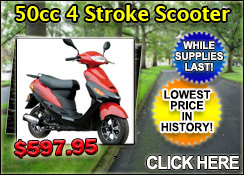 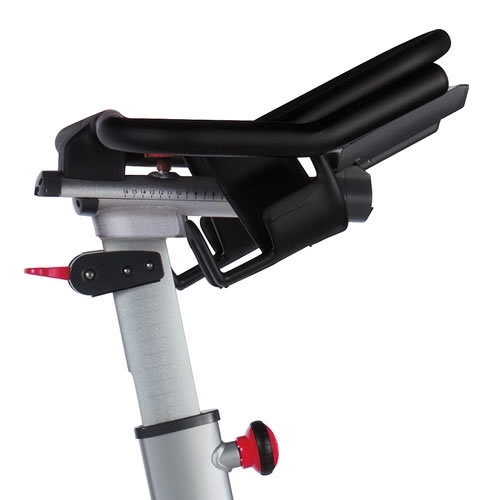 Handlebar: Ergonomic Handlebar Design for Comfortable Upper Body Positioning. 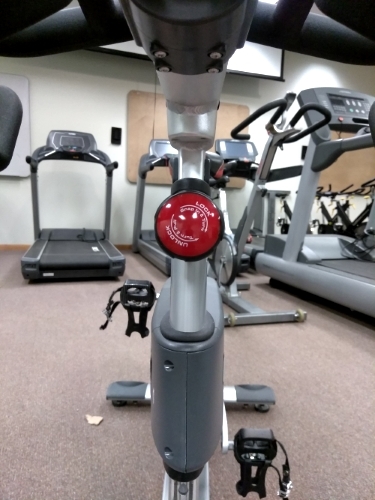 Dual Water Bottle Receptacles Can Be Used as Digital Device Holders. 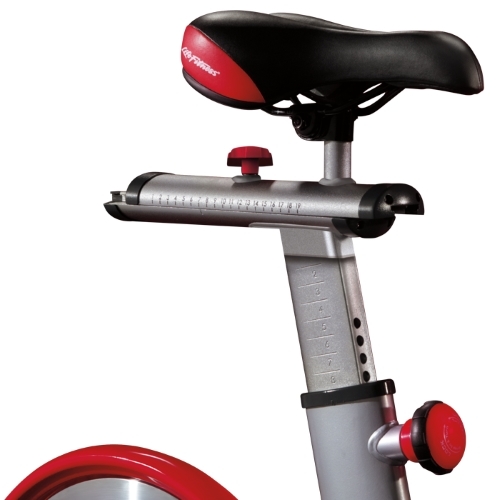 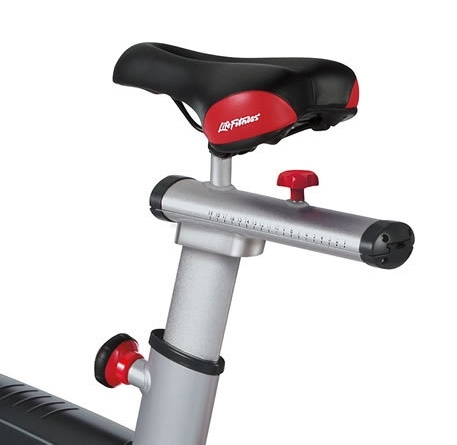 Handlebar Adjustments: Micro Fore/Aft Adjustments Allow Users to Set a Seat and Handlebar to the Most Optimal Position Relative to Height and Body Type. 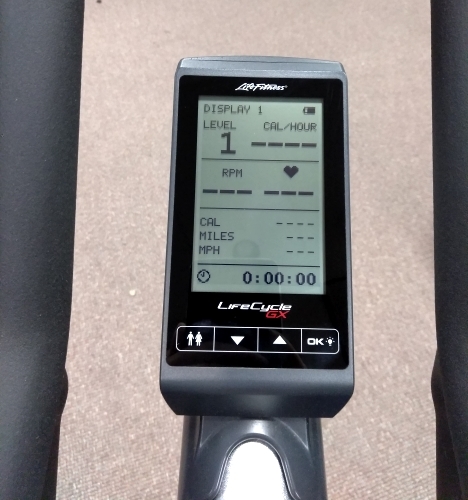 Readouts: Speed, Distance, Cadence, Calories, Time, Heart Rate, Resistance Level. 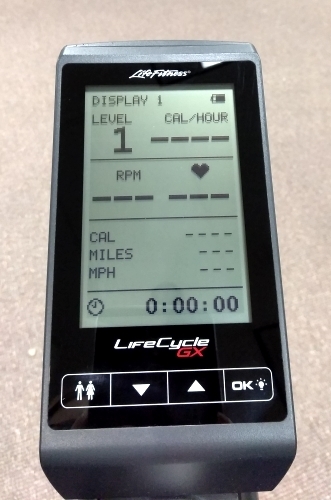 It Also Displays % of Heart Rate MAX, RPM, RPM Max, RPM Average, MPH Max, MPH Average, Heart Rate Peak, Heart Rate Average. 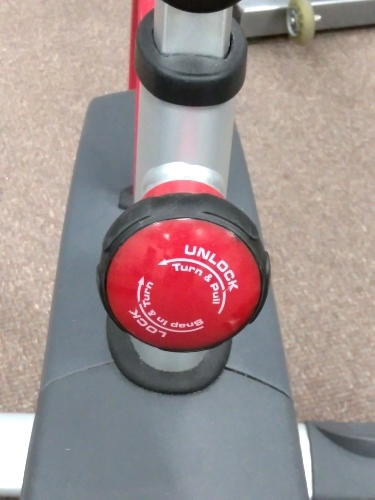 Optional Polar Compatible Chest Strap Required.